From what I am hearing, managing Millennials is one of the biggest challenges facing construction employers today. Construction company owners have told me again and again that Millennial employees in construction lack a drive to produce—that this generation is more focused on having workplaces filled with ping pong tables and other recreational diversions. The typical employer response to that is I wish we could put ping pong tables in the office, but we’re not Google. We’ve got to produce—we can’t build a building at midnight. Tech industry employees make a trade-off for all those ping pong breaks by working late hours or by working at home on weekends. Construction employees typically don’t have that option. 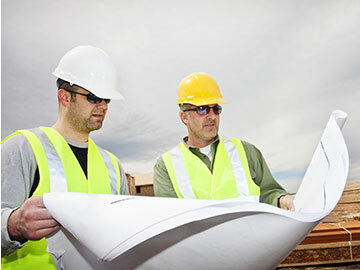 For these and other reasons, employers across the country are challenged with the question of how to keep talented Millennials engaged and interested in construction. Because the Millennials in construction are asking for greater work-life balance, it can be a good idea to put a ping pong or pool table in the office. Bring in lunch occasionally. These practices will give workers the sense that it is not all business, but that personal connections have a place in the office as well. Beyond work-life balance, there remains the larger question of how construction managers can impart to Millennial workers a sense of accountability, that sense of I’ve got to produce. I have one solution to propose: an arrangement I call co-mentorship. 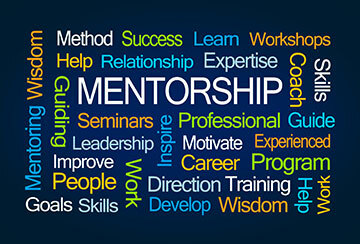 Here is how co-mentorship works: pair every Millennial you have on your team with one of your seasoned workers – a Baby Boomer if possible, or a member of Generation X. Ask these co-mentorship teams to go to lunch or to meet at least once a week for 15 or 20 minutes and discuss what is important for them in a company. When older and younger members of your team come together to exchange their thoughts and ideas, both groups will benefit, along with the company overall. Through these weekly conversations, Millennials will begin to see that, to Baby Boomers, the most important drivers are stability, insurance, and retirement. Boomers are more focused on working hard to make sure the company continues to get projects so they can achieve those goals. This work ethic will begin to rub off on Millennials as they realize, I have to work hard to earn stability and a safety net–it doesn’t come out of thin air. I am the person who must produce it. And if I am successful, I can have my leisure time as well. These conversations infuse Millennial workers with a little bit of that old school construction mentality. Your seasoned workers will benefit from these conversations too. Millennials will tell the Baby Boomers that what is important to them is work-life balance, transparency, flexibility, and technology. Your seasoned workers will hopefully begin to see how self-care can be important to their long term health, happiness, and ability to continue working for as long as they want to. Additionally (and this may be the biggest benefit), they can become more familiar with the latest technologies. Millennials can show your Baby Boomers how to use new technology, such as how to use apps to improve their lives. These conversations could potentially not only increase your team’s productivity, but also raise the technology level for the backend of your company. Charlie Kimmel has dedicated his career to executive search. Charlie is an honors graduate of the University of North Carolina at Asheville. He began his career at Kimmel & Associates as a recruiter in 1990.